The Hillsboro Rotary Club held installation ceremonies this month, with a change in president and various honors awarded. Above, Matt Greene, right, new Rotary president, presents outgoing president Reid Sharp with a plaque in appreciation of Sharp’s service over the past year. Rocky Coss, left, was honored this month as Rotarian of the Year by the Hillsboro Rotary Club. Coss heads up Rotary’s annual fundraising drive for the Highland County Society for Children and Adults, an event named in honor of the late Ernie Blankenship. Coss is shown receiving a plaque from outgoing Rotary president Reid Sharp. https://www.timesgazette.com/wp-content/uploads/sites/33/2018/07/web1_Reid-Matt-president-this.jpgThe Hillsboro Rotary Club held installation ceremonies this month, with a change in president and various honors awarded. Above, Matt Greene, right, new Rotary president, presents outgoing president Reid Sharp with a plaque in appreciation of Sharp’s service over the past year. 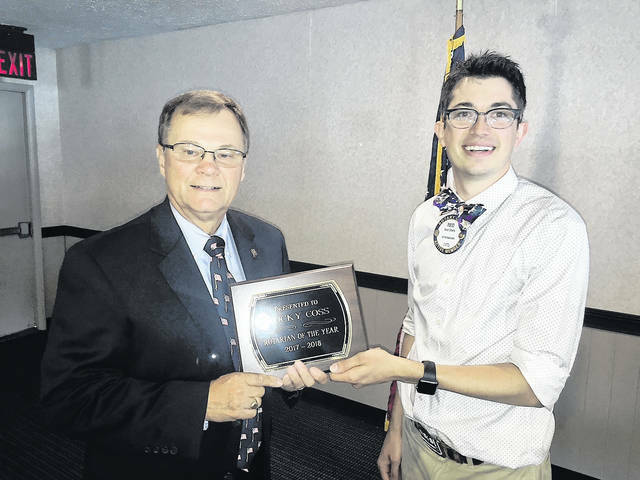 https://www.timesgazette.com/wp-content/uploads/sites/33/2018/07/web1_Rocky-rotarian-this.jpgRocky Coss, left, was honored this month as Rotarian of the Year by the Hillsboro Rotary Club. Coss heads up Rotary’s annual fundraising drive for the Highland County Society for Children and Adults, an event named in honor of the late Ernie Blankenship. 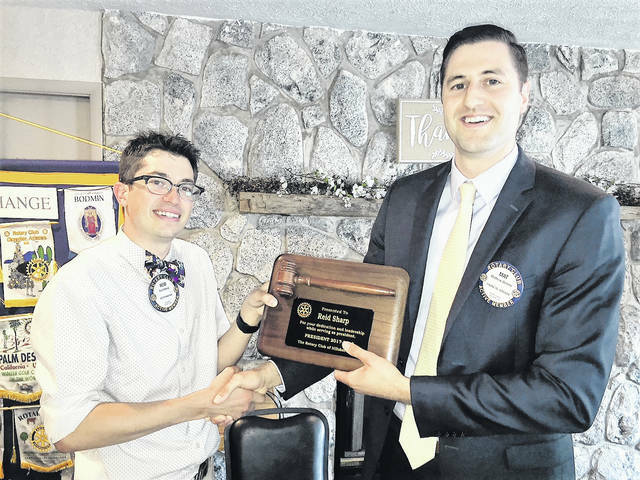 Coss is shown receiving a plaque from outgoing Rotary president Reid Sharp.